I looove this quad from Smashbox. 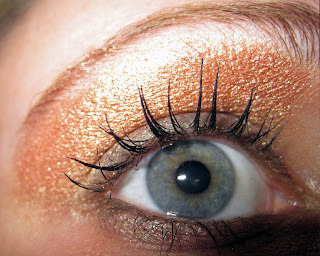 It is called Modella and contains a light gold, peach, icy blue, and a brown that I always use on my brows. I am not sure if they still sell it at Sephora (I bought it 2 years ago and have since purchased another from eBay). Over that I layered MAC loose pigment in Yellow Gold.